Machhapuchare –Mardi Himal Trekking the famous triangular skyline that is seen from Phewa Lake at Pokhara is the most southerly high point of the Annapurna Massif, the awesomely majestic grouping of mountains in the central Himalaya that includes 5 of the 12 highest mountains in the world and all five are seen at close quarters on our route. As we shall soon see, from a closer and more westerly vantage point, the mountain possesses twin peaks thus its name ‘Machhapuchare’ – ‘Fishtail’. Mardi Himal is our access route and is the name given to the long rising ridge and its crest that form the south westerly lower slope of Mount Machhapuchare. Ours is an eight day expedition climbing through the forests, above the tree-line and on up to form our high altitude camp at 4,100m. 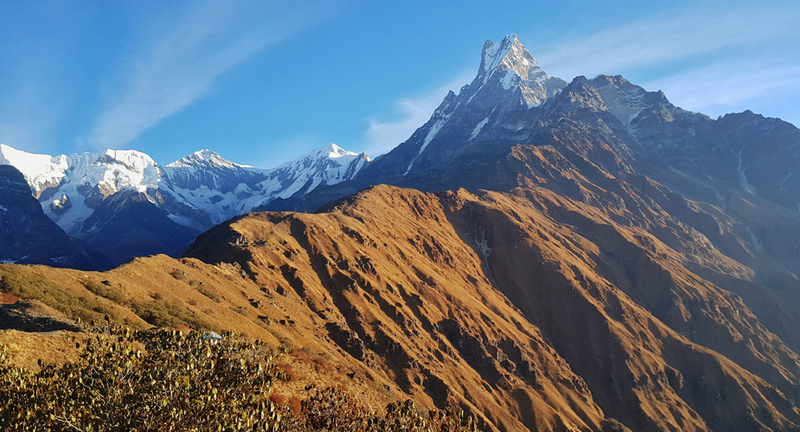 We establish this ‘High Camp’ with a view to climbing up towards the knoll of Mardi Himal (5,588m) from which vantage point there are the most amazing close-quarter views of all. 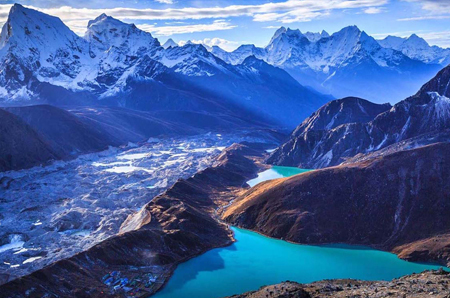 Machhapuchhre – Mardi Himal Trekking is a newly opened route and hidden treasure in the Annapurna region. 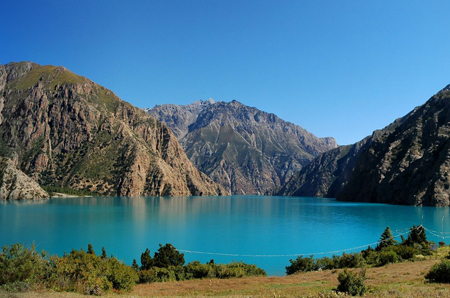 This trek is best destination to avoid the crowd. 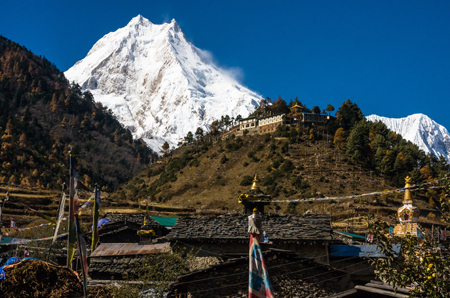 Mardi Himal trek offer imaging view of Annapurna, Dhaulagiri, Machhapuchre and Manaslu ranges. 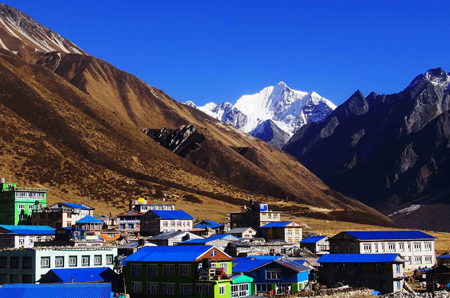 Mardi Himal base camp, Jhinu Hot Spring and Ghandruk village is the major attraction of this trek. Mardi Himal trekking starts at Dhampus Phedi after 1/2 hours driving from Pokhara. 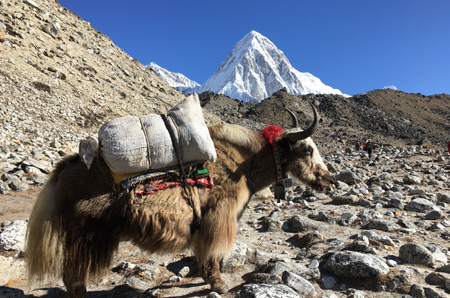 The trail is good, first slowly up, then a bit steeper to Dhapmus (2060m – About two hour), then after that slightly up hill to Pothana (1950m) then up again to Deurali (2150m). There is a right turn in Deurali sign posted “Forest Camp” the trail is through jungle, at first up then undulating on the top of a ridge, there is a section just over half way where the trail drops steeply and then slowly gains height and then back onto the ridge and into Forest Camp (2600m). The trail is initially quite steep leaving Forest Camp but soon gets less steep as you again get upon the ridge. The trail leaves Low Camp again in jungle, but the trees soon start to get smaller and after about one hours trekking broke out of the jungle and onto the open ridge with spectacular views of Machhapuchhre ahead and Annapurna South to my left. 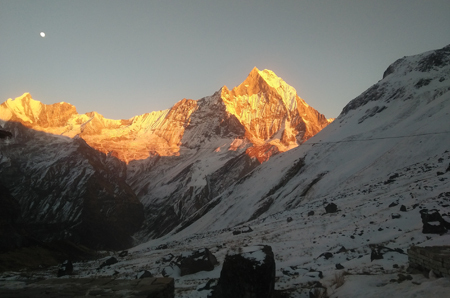 It is possible to continue trekking along the ridge for another 4 to 5 hours to Mardi Himal Base Camp (4500m) and return to High Camp in around 4 hours – This makes a long day but there is also a viewpoint about half way, the imaging view can be from here. After that, we return all the way down to Siding.Then Next day cross Mardi Bridge head to Hemja village which is very close to Pokhara. 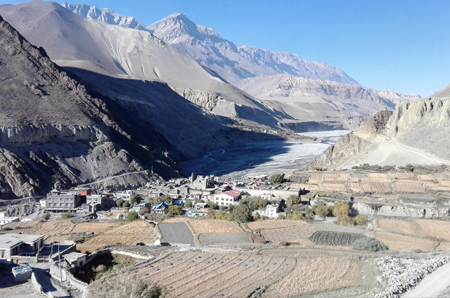 Day- 01: Drive to trailhead Phedi – Pothana Deurali (2150m) 5 -6 Hours. Day- 02: Pothana Deurali (2550m) – Forest camp 5-6 Hours. Day- 03: Forest camp – Low camp ( 3400 m ) 4-5 Hours. 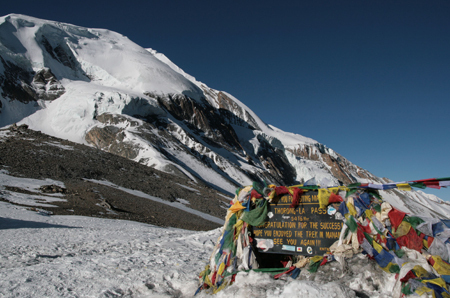 Day- 04: Low camp – High camp ( 4100m ) 4-5 Hours. Day- 05: Exploration day ( 5150 m, ) 4-5 Hours. 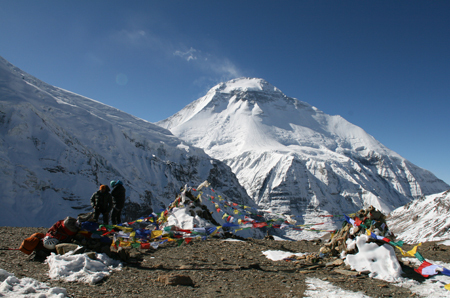 Day- 06: High camp – Siding (1760m) 6-7 Hours. Day- 07: Siding – Mardipul (915 m) 4-5 Hours. 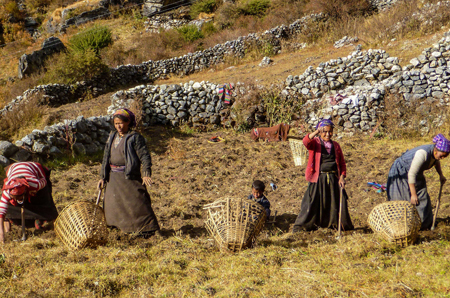 Day- 08: Mardipul – Hemja (Milanchowk) & drive back to Pokhara 2-3 Hours. Tourist Standard Hotels or Home stay. Local Bus service For intercity connection. 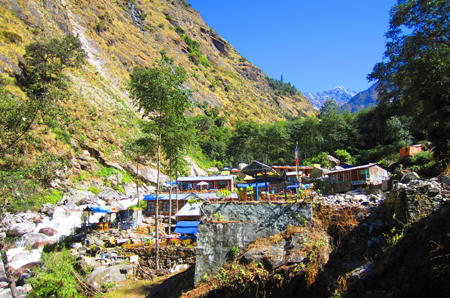 Lodge or Home stay accommodation during the trekking. heater and phone calls etc. 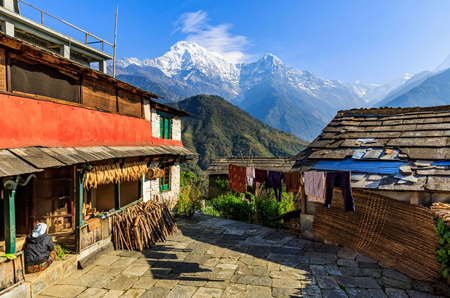 Nepalese visa fee: bring accurate USD cash and two passport photographs with you. 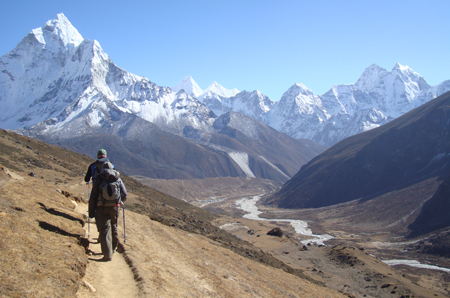 Trekking Permits & Fees with Local tax.